Carnival Cruise Line is testing a new pizza delivery service via its popular Hub App. For now, the trial is only taking place on one Carnival cruise ship but could be expanded. A new Pizza delivery service is being tested on Carnival’s Hub app. For now, it’s only being trialed on Carnival Horizon which is the newest ship in the fleet. The feature allows guests to order a freshly made Pizza from the Pizzeria located on the lido deck. You’re probably thinking why you would need to have a Pizza delivered to the cabin when it takes just a few minutes to get it yourself. Well, what’s different about this service is that no matter where you are on the ship the pizza will be delivered. A guest could be getting some sun on the deck chair or even having a drink at the bar. The cost of the Pizza is totally free but there is a $5 fee for the delivery and guests are encouraged to tip the delivery crew. 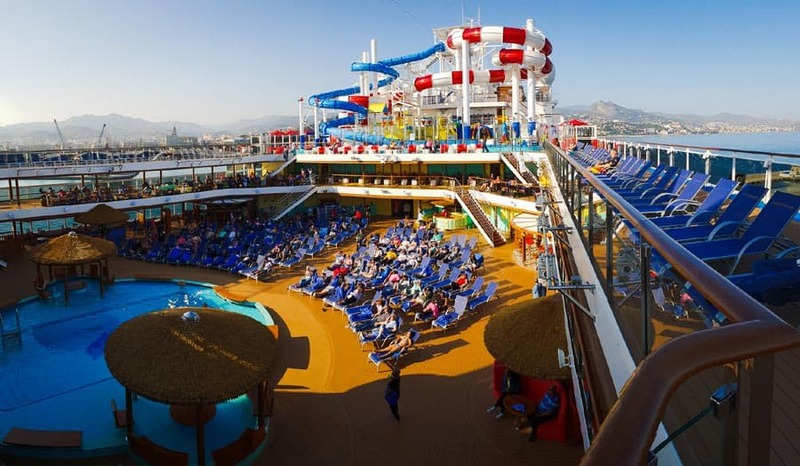 According to Carnival Cruise Line Ambassador John Heald, the new Hub App feature has proved to be very popular on Carnival Horizon. There is a possibility of it rolling across to other ships in the future so if you do have a Carnival cruise vacation coming up don’t forget to check to see if the Pizza delivery service is available. The Pizzaria on Carnival has been a guest favorite since the early days. You’ll find it always busy at night when passengers and even crew are feeling hungry after a night out around the ship. It’s also great for guests when spending an afternoon at the pool. Carnival Hub App is fast becoming an essential tool and offers a wide range of features which can enhance the vacation experience. The app already offers sail & sign account details, chat, dining reservations, ship maps, daily activity scheduled and a more. The cruise line is constantly improving the app and rolling out new updates. We have a full guide about the app right here.